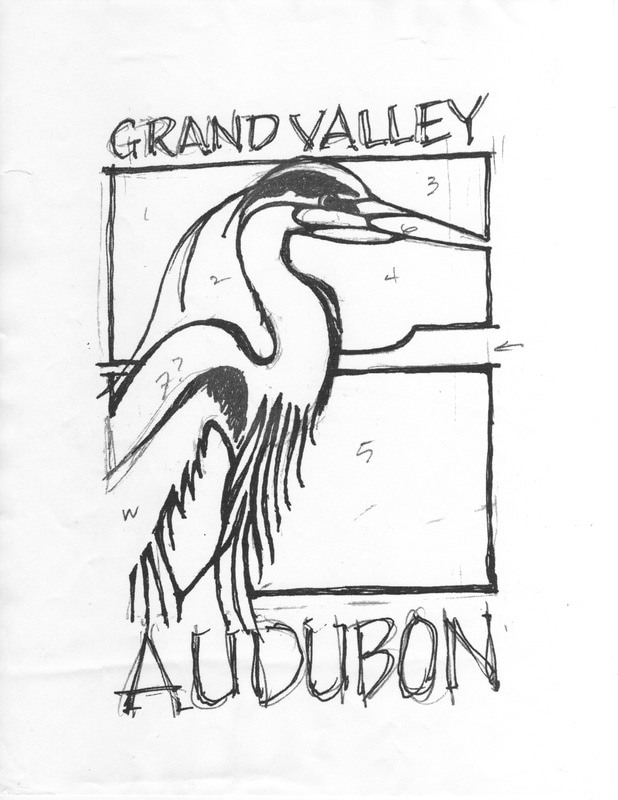 We are thinking of updating our logo. 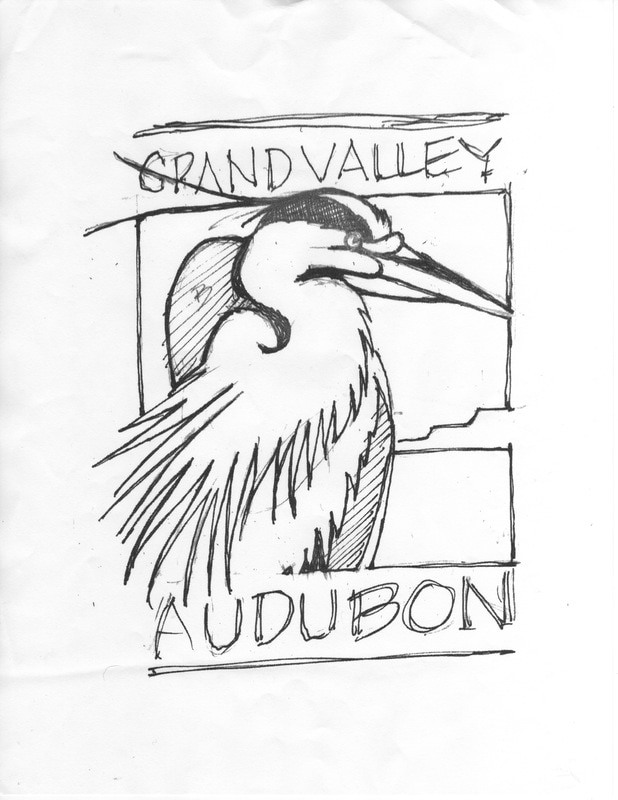 Artist Sheri Worth has made a few sketches of options for us. Let us know which one is your favorite! 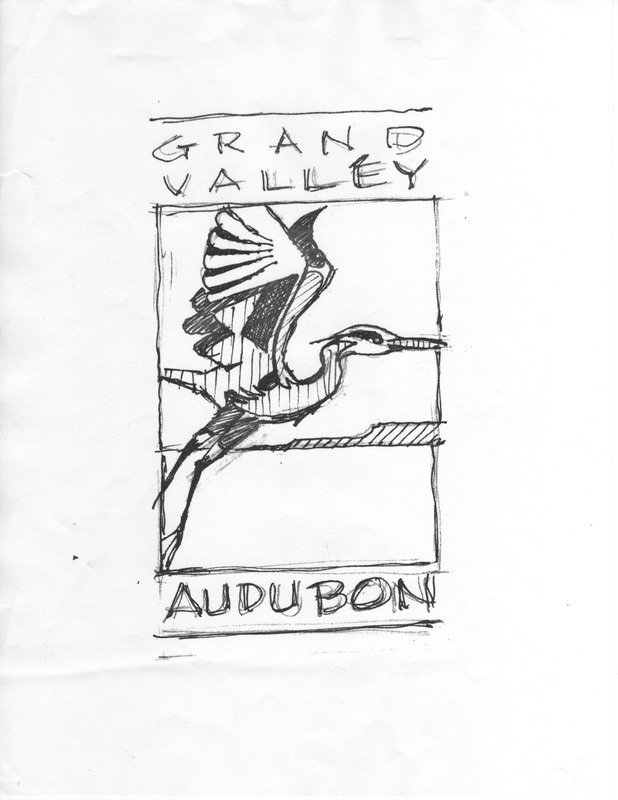 Note these are scans of rough sketches and in some cases the text surrounding the image ("Grand Valley Audubon") is cut off. Please focus on the image, and choose your favorite. Thanks for your input!